Most of the families these days end up hosting their kid’s birthday party either outside their houses or look for professional help. Some groups of people have fixed birthday party venues as well. We have done some market research and come up with the list of best venues where you can celebrate outdoor birthday party to add flavour your kid’s special day. 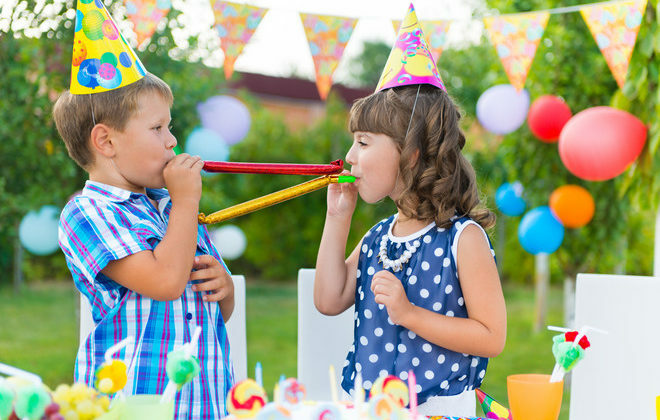 These are tries and tested party venues so you can easily look for these ideas if you really want to throw a memorable birthday party for your kids. 1. Pizza party at Pizza centers. Well, most of the friends of your kids would be of his or her age only. Today kids love to eat pizza. You can cordially invite all friends of your loving child to any of the pizza parlor and give him or her unforgettable surprise. 2. Indoor or outdoor golf courses. If you kids love to play golf, then you can surprise him or her by organizing miniature golf courses inside or outside your house as well. 3. You can take your guests to Amusement parks and Zoos. It is generally seen that kids love to do some adventure every day. But not all days are same for him or her. On your kid’s birthday, you can take your kid to the amusement park or any zoo to bring him closer to the flora and fauna of your country. 4. When listing down the best venues for your kids, how can we forget the Ice cream parlors. Almost all kids love to eat ice-cream. On your kid’s birthday, you can call up his or her friends and take everyone to the ice-cream parlor and ask the shopkeeper to give the best ice-creams from his stock. 5. If you are planning to throw your kids birthday party at your home only, you can arrange some games like hide and seek, paint the balloon, passing the pillow, etc so that kids can enjoy and have fun at your kid’s birthday party. There are so many ways that you can use to throw a grand party. The only thing is that you need to invest your time and think for the ideas that can help you to throw a mesmerizing birthday party for your loving kids. 6. If budget is an issue but you still don’t want to compromise on the low-budget plans then you can try your hands on these tricks to give your kids, an ultimate birthday surprise. 7. As we already said, kids love adventure. Instead of taking him or her to amusement park or zoo, you can also plan to take your kids to Public Park where there are lots of things to play and enjoy. 8. Outing to Beach can also be another great idea that can help you to give some memorable time to your kids. There is a huge list of venues for your kid’s birthday party. All you need to do is to think about the area of interest of your kid and plan his or her birthday party accordingly.